I am currently kick starting a new project that will take a fair chunk of my energy over the next couple of years. It is both scary and exciting because it is the book I have wanted to write for a very long time. 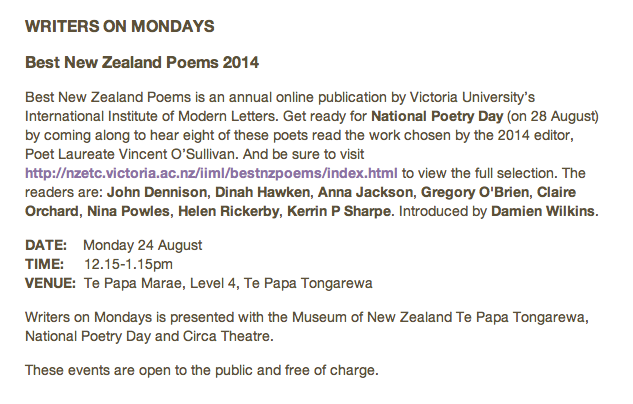 It feels as though all roads (my poetry, my reviewing, my Masters and Doctoral theses) have led to this. 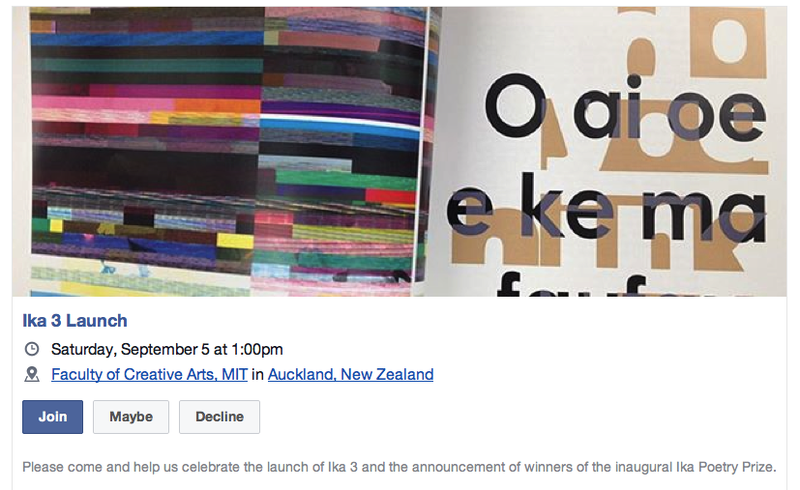 So while I like to keep poetry collections close to my chest until they appear in book form, I will share this secret – I am writing a book on New Zealand women’s poetry. If you know the name of a woman poet who is not yet out of the shadows but whose work you admire let me know and I will go delving. My first venture to The Alexander Turnball Library was to go hunting in the archives for Blanche Baughan (1870 – 1958). Looking at letters and manuscripts made the hairs on my arm stand on end. Really, I want the poems to speak to me as I write this book rather than peripheral material, but there is in some way a little rocket that goes off inside you when you step into archives. Damien Love recently edited Selected Writings: Blanche Baughan (Erewhon Press, 2015) which brings together her poetry, prose and non-fiction (especially travel writing). While I have battered copies of a number of her works, it is terrific to have this selection readily available. Open this book and you enter the pages of a woman who stretches from the mystical to the political; who made writing a full time obsession rather than a Sunday afternoon hobby. At a certain point in her life she stopped writing poetry and short stories and devoted herself to a more political role (this fascinates me!). In particular, she sought reforms in the penal system (her pen tuned to writing that backed her aims). Damien’s introduction gives a brief overview of her publications, her strengths and weakness as a writer, as a poet in particular. 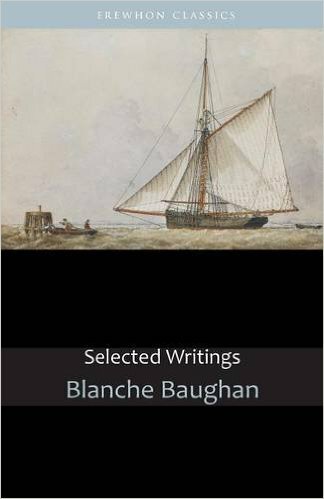 Blanche was ‘the first woman to write significant poetry in New Zealand.’ I agree with Damien that it is important to engage with her writing within the context in which was written. She is a woman who paved the way for me to write. Reading the selection is opening a window on colonial life, on a woman’s life at the time. She, like so many women was plagued with self doubt, yet writing poetry was a vital part of her existence for a number of years. How does her poetry reflect the form and poetic etiquette of the times? Does it make a difference she is a woman writing? Her writing leads you into the domestic but it also takes you beyond the domestic walls into sky and land. Land becomes a poetic anchor, a way of securing a sense of home. 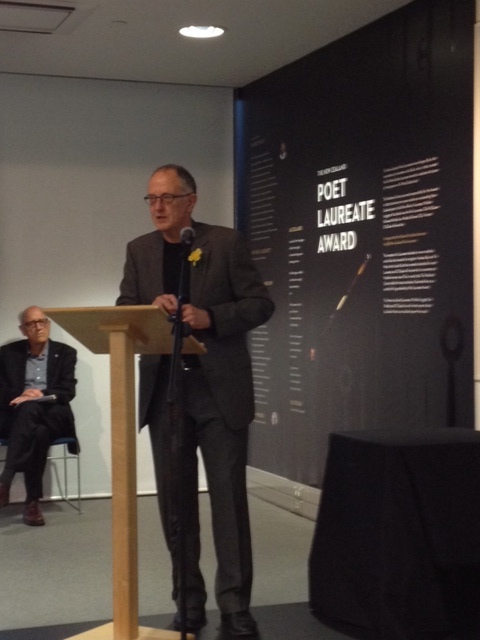 The selections are drawn from: Verses, Reuben and Other Poems, Shingle-Short (poetry); Brown Bread from a Colonial Oven (stories); Studies in New Zealand Scenery and People in Prison. 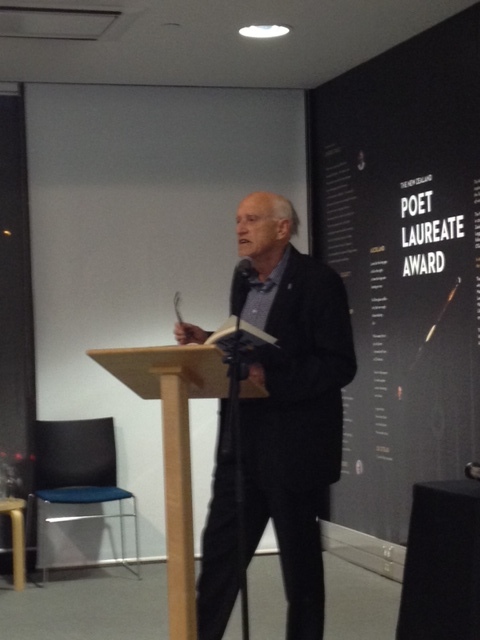 The poems include key examples (‘A Bush Section’ and ‘The Old Place,’ for example) that have been previously anthologised and praised as well others less known. I applaud the arrival of this astutely edited book, a book that enables us to navigate the complex engagements of one of out writing pioneers. Strewn, all over its hollows and hills, with the long, prone, grey-black logs. 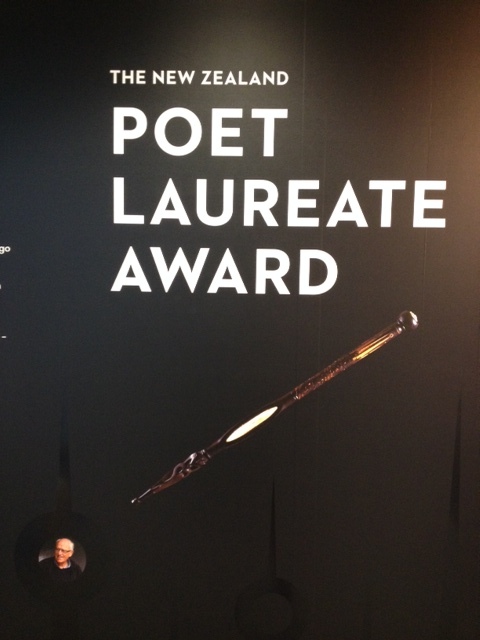 This entry was posted in NZ author, NZ poetry, NZ poetry, NZ poetry book, NZ Poets, Poetry and tagged Blanch baughan, Damien Love on August 31, 2015 by Paula Green. 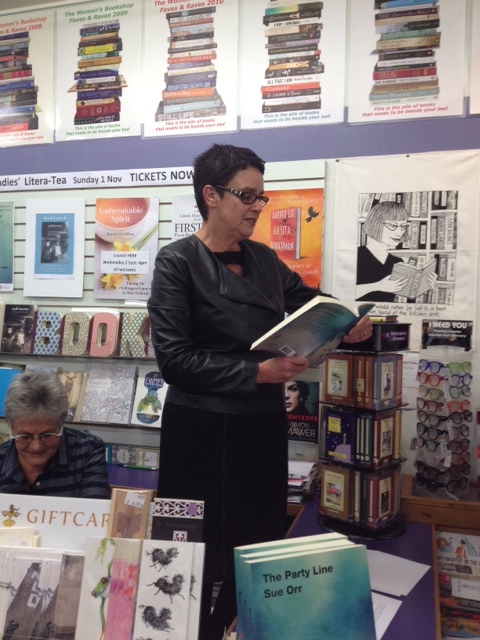 This is the speech I gave to launch Sue Orr’s new novel at the Women’s Bookshop. 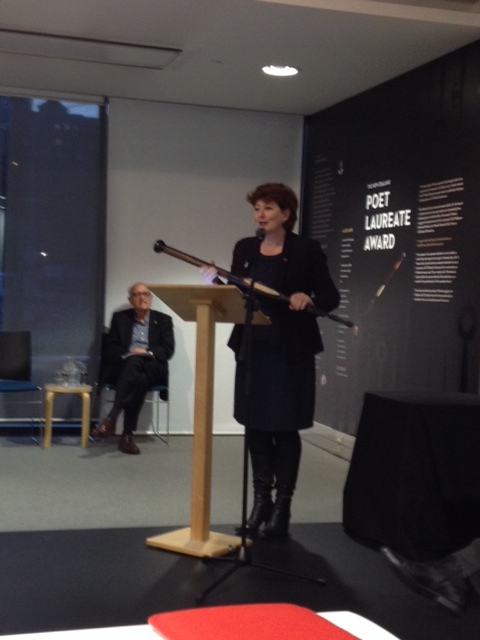 It was a packed room with many novelists and poets present. Such support. Sue’s debut novel is pitch perfect. It reminded me of why I loved reviewing fiction for the NZ Herald so much. I was delighted to be invited to launch The Party Line, this utterly perfect book, of a dear friend and a fellow Penguin Random House author. Then to open my pristine copy and discover it was dedicated to me was so very moving. Thank you! I got to see a near final draft of the ms and was captivated at every level by the power of Sue’s narrative. Even when you enter a world of flickering and uncertain light and dark such as this, you enter the joy of narrative — what story gifts us as readers. To read the published book, was to read afresh, and as I read over the weekend, everything else faded to dim (hanging out the washing, feeding the cats, answering emails). I just wanted to read in one slow gulp –and that is what I did. This is the kind of novel that a reviewer could so easily diminish the effect of by giving away plot and character twists. Instead I want to share four reading pleasures this book gave me. Firstly, the narrative is so surely anchored in a particular place and time, nostalgically so, for someone of my age. The judicious degree of detail renders both time and place vitally present: seersucker shorts, Happen In, the click of the eavesdropper on the party line, 4711 perfume, a candlewick bedspread, handkerchiefs, sharemilkers on the move, the paddock, getting in the hay, big brown bottles of beer. Secondly, and most importantly, the characters resist the narrow confines of ink and paper and become seemingly real – and in that provisional realness expand to the point they affect you on a deep level. Husbands, wives, mothers, fathers, daughters. It is as though all roads lead to character in The Party Line: dialogue, plot, setting, turning points, epiphanies. Take any character, teenage Gabrielle coming to terms with the loss of her mother, or Joy facing brittle lines of communication with her daughter, Sue’s characters, all of them, ache with flaws, vulnerabilities, strengths. How one lives and loves and loses. So much of what we experience, have experienced and will experience defies words – yet this novel nails the kaleidoscopic, gut-wrenching, grey routine, survival instincts, good intentions, misguided ignorance, symphonic highs, comatosing lows, elusive dreams, startling courage, misread difference, kindness, meanness, rebelliousness, conformity, silence as a form of collusion or consent, the make do and the make believe of what it means to be human. These characters got to me. I felt them puncture and punctuate my heart rhythm. They startled me and they cajoled me. And what made the human complexity matter so very much, was the way they grew out of Sue’s lovingly tended sense of time and place. Thirdly, while the narrative embeds you in the lure of its inhabited world – as you absorb character, place and event – this too is a novel of ideas. The way ideas ferment in the cracks and overlaps. There is the pervading notion of eavesdropping/seeing what one oughtn’t. The architecture of tight-knit communities. Gender roles. Human behaviour in the light of human error. Our ability to misread and misjudge human difference. Hierarchies with misplaced power. If you scan the last few decades of NZ fiction, I am not sure how many novels have buried roots in the rural, in the back blocks, the peat paddocks, the farm kitchen, the country lanes and the local hall. 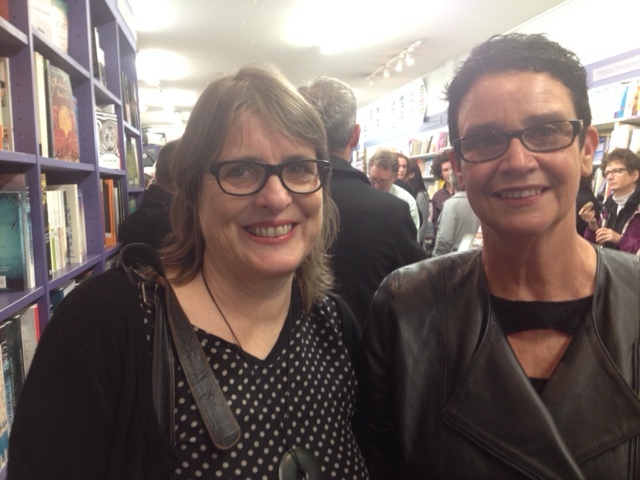 That The Party Line is a novel of a farming community, of small town NZ, is to be celebrated. That the novel returns you to the world rejuvenated, a little transformed, is because this one small part of the world rendered in fictional form illuminates that which is real both past and present. It makes you think and it makes you feel. Not all novels do this. You feel like you have been the eavesdropper, seen what ought not to be seen, head and heart shaken apart, so that everybody near you and everybody at a distance seems acutely alive and precious. This is an astonishing novel, not in a big brash show off way, but in an intimate and empathetic way. I am delighted to declare it launched! 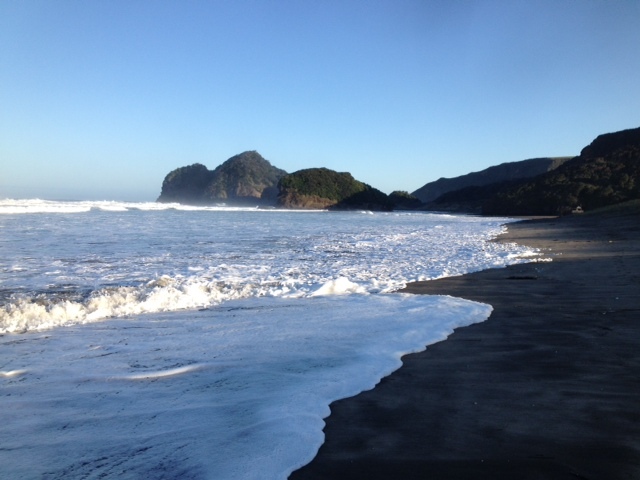 This entry was posted in NZ author and tagged Sur Orr on August 27, 2015 by Paula Green. 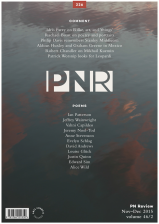 Michael Schmidt is inviting New Zealand poetry fans to subscribe (with a special rate for students) to PN Review as it relaunches in September. 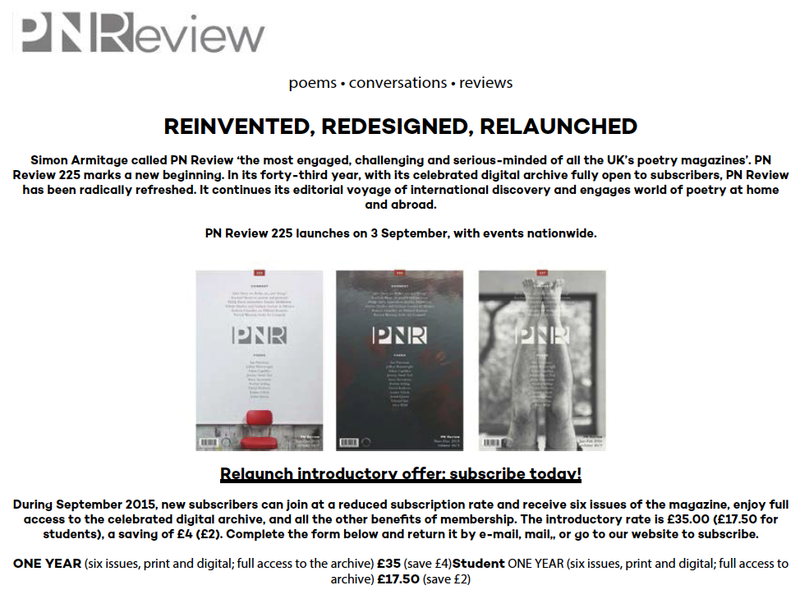 From Karl Stead: ‘PN Review is giving itself a new look and hoping for new subscribers. 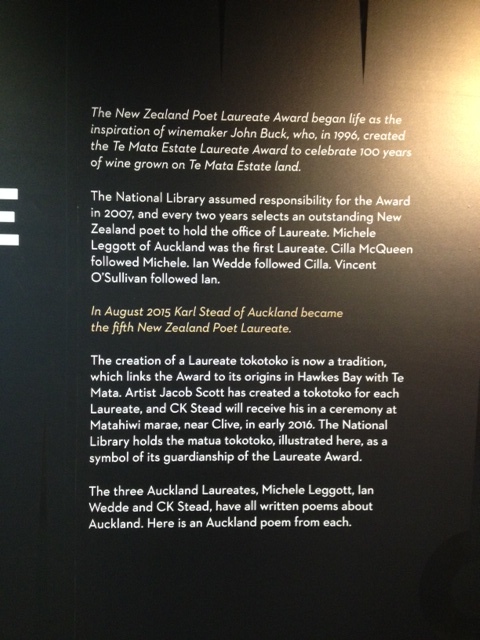 It comes out five times a year, big page format, very well produced and edited by Michael Schmidt of Carcanet Press It is the one international literary magazine that has paid serious and consistent attention to New Zealand poets and poetry. 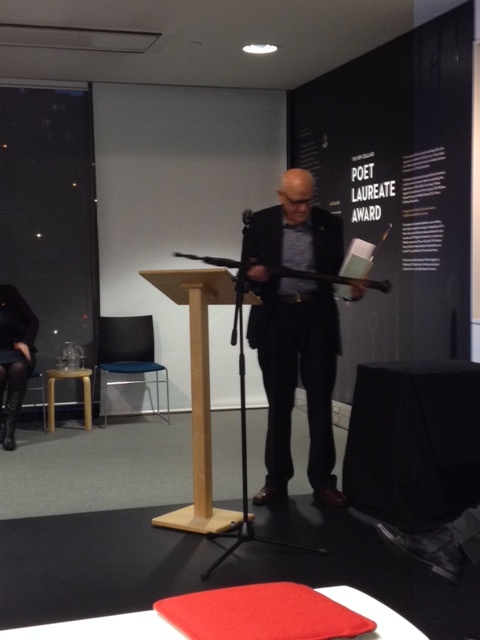 We have always been close to New Zealand poetry – Allen Curnow, Bill Manhire, Karl Stead, Greg O’Brien and John Dennison have been among the formative Antipodean figures in the magazine’s long history. We regard this relaunch as a new beginning. 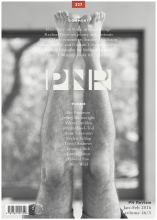 The magazine, now forty-three years old, remains true to its origins but it is radically refreshed, continuing its editorial voyage of discovery and keeping up the critical conversations. We are active on social media, and if you are interested you can explore our website, Facebook and twitter presences. Subscribers receive six print and digital issues a year, access to the celebrated digital archive, and you will be invited to our public events around the country throughout the year. 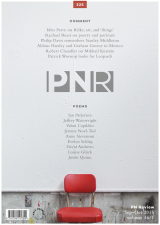 Current subscribers are free to submit work to us digitally. I hope we can welcome you during September. This entry was posted in Uncategorized and tagged PN Review on August 21, 2015 by Paula Green.